OSHA’s crystalline silica rule has been finalized and new standards must be implemented by September 2017. There are separate requirements for general industry/maritime and construction. Written Exposure Control Plan — Your company must prepare and implement a written exposure control plan that identifies tasks which could create exposures and the methods your company will use to protect workers. Housekeeping — Housekeeping practices such as dry sweeping, dry brushing, and the use of compressed air (unless used in conjunction with a ventilation system) which expose workers to silica where feasible alternatives are available is not allowed. 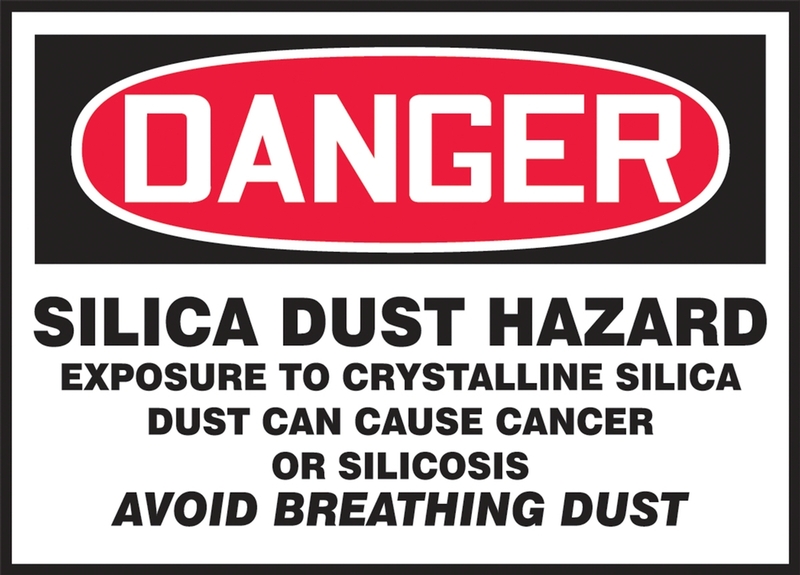 Training — Worker training in silica exposure is required. Workers must be able to demonstrate: knowledge of hazards, specific tasks which could cause exposures, the employer’s methods of controlling exposures, information from the silica standard and the purpose and description of the medical surveillance program. To help document demonstration of knowledge, you may want to give a quiz. Record Keeping — Your company must keep detailed records of silica exposure and medical exams on file. For general industry/maritime, it’s all detailed exposure sampling records. How your company chooses to comply with the standard will determine which records you keep. How Can ECES help you with this new regulation? Compliance Determinations, Audits and Checklists – Helping you determine if this standard applies to you, evaluating your site for exposure potential, determining areas needing warning signs or restricted access, and making a compliance checklist for you. Exposure Sampling – Sampling your facility or construction sites for exposure levels, arranging for lab analysis of samples, preparing documentation for record keeping, and preparing your written employee notices. Written Program Development – Preparing your exposure control plan or respiratory protection program. Answering Questions – Our safety and industrial hygiene experts on-staff can help you with any other questions you may have.